He was the apostolic link between Muddy Waters and David Sanborn. Paul Butterfield was the archetypal Chicago Blues Rocker, as his induction into the Blues and Rock & Roll Halls of fame should duly attest, but his final years were difficult, due to health problems and audience fickleness. 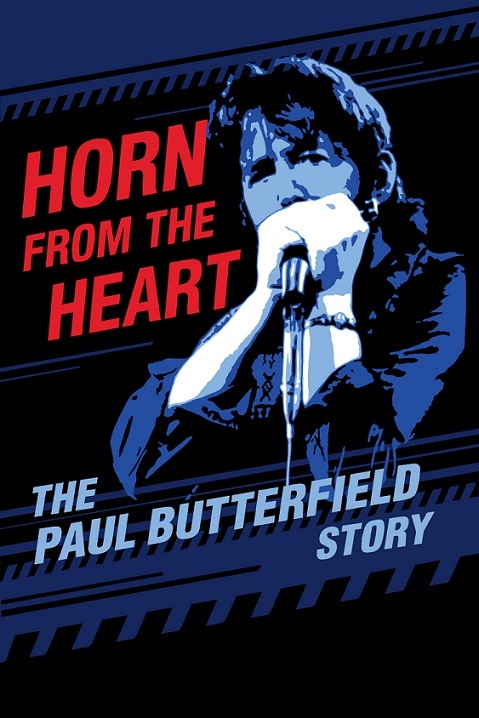 The music and career of the legendary blues harp player are chronicled in John Anderson’s Horn from the Heart: The Paul Butterfield Story (trailer here), which opens today in New York. Butterfield got an impossibly loud sound out of the harp (or harmonica, for the Wonder Bread eaters), in large part because he attacked it like it was a horn. He was one of those white blues kids who managed to hang out in real deal South Side neighborhood clubs, along with his pals Elvin Bishop and Nick Gravenites (both of whom discuss their time with Butterfield on-camera). Eventually, Bishop joined Butterfield when he started fronting a blues band up in a North Side club. Somehow, Butterfield managed to also recruit drummer Sam Lay and bassist Jerome Arnold, Howlin’ Wolf’s rhythm section, which gave Butterfield’s band instant credibility. Things really started to take off when guitarist Mike Bloomfield joined the band. Butterfield’s electric blues even managed to charm the kneejerk folkies at the Newport Folk Festival, the same year Dylan sparked riots when he went electric. Even when the Butterfield Blues Band broke up (prematurely, according to Anderson’s talking heads), the harpist still had several career highlights ahead of him, including playing on Muddy Waters’ classic but divisive Fathers and Sons sessions. However, he still follows a life trajectory that is so frustratingly familiar to jazz, blues, and rock fans. Frankly, it is about time Butterfield got the bio-doc treatment, but fortunately, he does a nice job of it. He scored interviews with just about everyone still living fans would want to hear from, including Bishop, Gravenites, Lay, Sanborn, Barry Goldberg, Al Kooper, Maria Mudaur, Geoff Muldaur, Electra Records founder Jac Holzman, and Paul Schaffer, who played on Butterifeld’s final solo album. Butterfield was one of those musicians who really stretched genre boundaries, but he always stayed true to the blues. Anderson does right by Butterfield, the harpist’s heroes and influences, as well as the city of Chicago. He keeps things moving along briskly, but never skimps on the music. In many ways, Butterfield’s biography is quite a sad story, but his hard-charging harp gives the film an upbeat vibe. Highly recommended for fans of Blues-Rock and Chicago Blues, Horn from the Heart opens today and runs through Sunday (10/17-10/21) in New York, at the Roxy Cinema.